Laserfit Vision has been trying to resolve the issues facing patients with severe visual distortion for many years, and has published a number of peer-reviewed articles on the subject. His efforts culminated in the first personalized scleral lens with wavefront-guided optics designed in the digital domain using state-of-the-art 3D software. However, the first step in making this possible was to adapt new digital scanning technology called optical coherence tomography to the mapping of the scleral surface, which he undertook late in 2007. Four years later he was awarded a patent on the concept. He had initially hoped that the new method would lead to a simpler and quicker fitting process for these difficult lenses. Instead it led to greater complexity and results that exceeded anything he had imagined. As he began to realize the great diversity in eye shapes, he added more points of adjustment. This led to a better fitting lens that was also more comfortable than any he had previously used. He also noticed that the lenses did not rotate on the eye. Instantly he recognized that this was the holy grail of wavefront vision correction. The idea of individualized wavefront optics in contact lenses was long ago abandoned by the scientific community as being unachievable. This was primarily because lenses were too unstable on the eye. The next step was to investigate various methods of incorporating complex corrections into his lenses in order to correct the residual vision issues that continued to plague patients who wore conventional lenses. With the help of Truform Optics, he learned how lathes worked and how to design freeform lenses. By late 2010 and early 2011 Dr. G. had worked out a novel method of designing wavefront-guided lenses for the benefit of his needy patients. 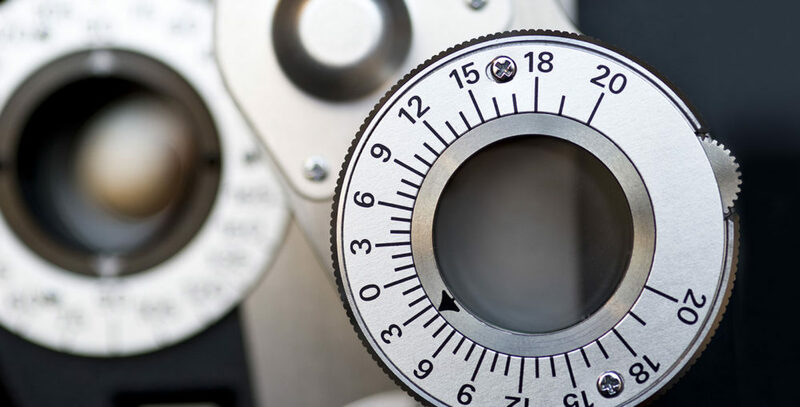 The results have been stunning, resulting in improvements in both higher order aberrations and visual acuity over standard lenses, with a number of them achieving 20/10 vision. He was recently awarded a patent by the U.S. Patent and Trade Office for his method. In 2012 he consulted with world class technology experts in order to move his process into an ultra-sophisticated 3D computer-aided-design platform that was worthy of this new technology. This was accomplished in early 2013 and the results have been nothing short of amazing. Dr. G. can do things he scarcely imagined possible just 5 years ago. In November 2013, Dr. G. was invited to speak at the 3DEXPERIENCE – North America customer forum at the Aria Resort in Las Vegas, where he shared his story with other technology leaders. While others are still trying to perfect these techniques in the lab, Dr. G. has already achieved several years of actual clinical experience. He has blazed the trail to bring the best possible vision and comfort experiences to increasing numbers of patients using the technology of the 21st century.